Although Mary, Queen of Scots continues to fascinate both historians and the general public alike, the story of her mother, Marie de Guise, is much less well known. A political power in her own right, she was born into the powerful and ambitious Lorraine family, spending her formative years at the dazzling and licentious court of François I. Although briefly courted by Henry VIII, she instead married his nephew, James V of Scotland, in 1538. James’ premature death four years later left their six day old daughter, Mary, as Queen and presented Marie with the formidable challenge of winning the support of the Scottish people and protecting her daughter’s threatened birthright. Content until now to remain in the background and play the part of the obedient wife, Marie spent the next eighteen years effectively governing Scotland, devoting her considerable intellect, courage and energy to safeguarding her daughter’s inheritance by using a deft mixture of cunning, charm, determination and tolerance. Marie of Guise is quite an unknown figure for someone who gave so much to Scotland. Marie was born on 22 November 1515 as the daughter of Claude, Duke of Guise and Antoinette of Bourbon. Her first marriage was to Louis II, Duke of Longueville in 1534. They had two sons but only the eldest, Francis, survived infancy. She was widowed in 1537 at the age of just 21. That same year, both the King of England, Henry VIII, and the King of Scotland, James V, were in need of new wife as they both lost their wives. King Francis I, the father of James V ‘s first bride, accepted the offer of the Scottish King and offered James a dowry as if Marie was a French Princess. Marie, just recently widowed and the mother of a young son was quite alarmed by the prospect. In the end, she was forced to leave her son behind to become the new Queen of Scots. She and James had two sons, James, Duke of Rothesay and Robert, Duke of Albany. Both boys died suddenly on 21 April 1541. Marie quickly fell pregnant again, and she gave birth to a daughter, Mary on 8 December 1542. James V died just six days later, shortly after the battle of Solway Moss. Her young daughter was now Queen of Scots. The regency was initially taken up James Hamilton, 2nd Earl of Arran. Naturally, Henry VIII wanted to marry young Mary to his son Edward, but Mary was betrothed to the Dauphin of France and was sent to France to be raised at court in 1548. Marie again had to bid farewell to a child of hers. Marie herself became regent for her daughter in 1554 until her death from dropsy in 1560. 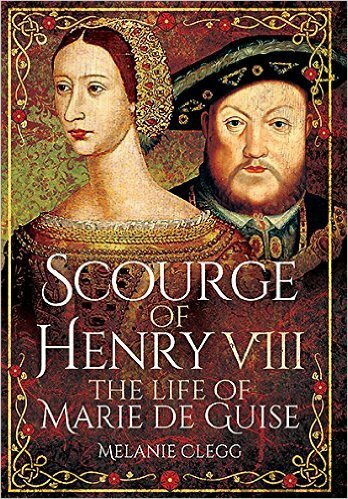 “Scourge of Henry VIII” is an excellent look at this formidable woman’s life. We feel Marie’s sadness at being forced to leave her son behind to become Queen of Scots. Then the incredible loss of her two sons with James and his sudden death just six days after the birth of their daughter. It must have been an incredibly daunting time for her. 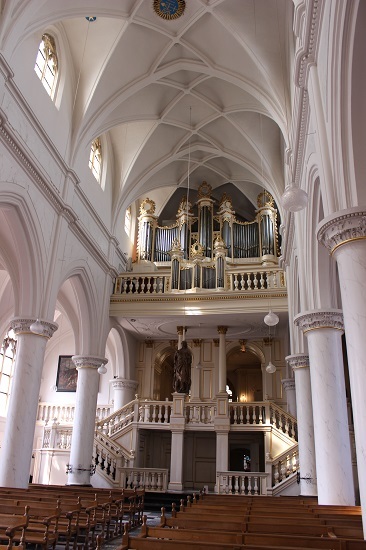 She also lost her son from her first marriage in 1551. I do have some issues with “Scourge of Henry VIII”. First of all, the book contains no footnotes. Zero. That seems a bit weird to me. Second of all, it contains at least three mistakes (that I have noticed). Jane Seymour’s death is described as happening in 1533 (1537), Margaret Douglas is described as James V’s stepsister (half-sister) and it’s stated that the Duke of Suffolk title was inherited by Lady Frances Brandon (it reverted to the crown after her two young brothers died and it was granted to her husband as a new creation). Overall I thoroughly enjoyed reading Marie of Guise as she was in need of biography of her own, but it just seems like something is missing here. “Scourge of Henry VIII: The Life of Marie de Guise” by Melanie Clegg is available now in both the US and the UK.